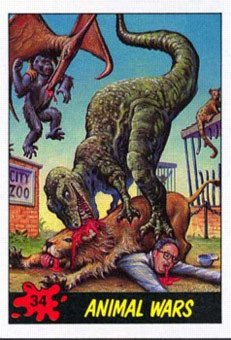 Dinosaur Attack | What's Up Mann? 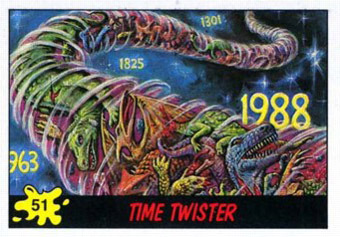 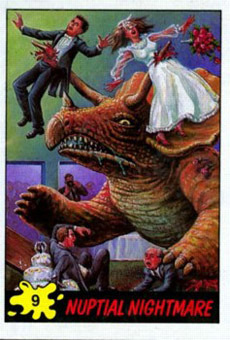 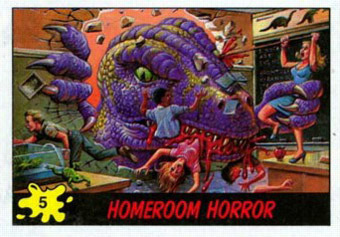 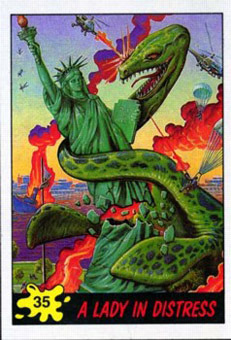 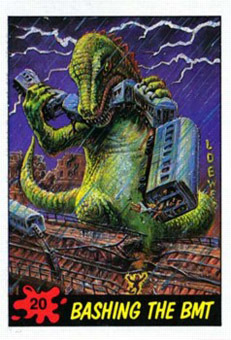 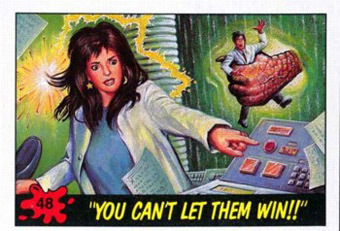 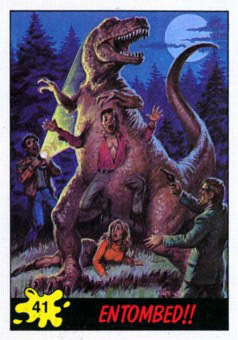 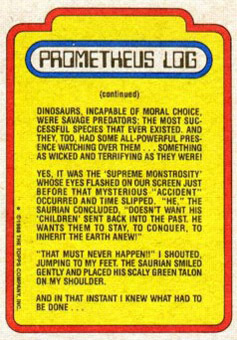 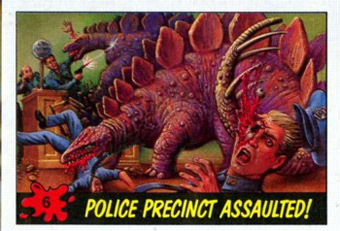 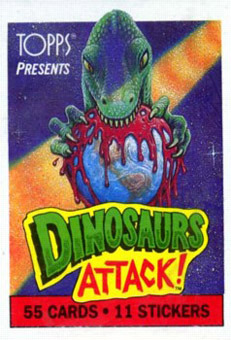 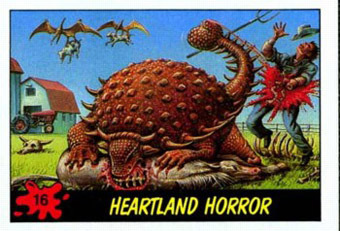 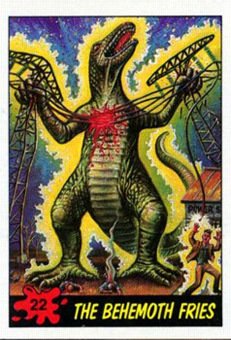 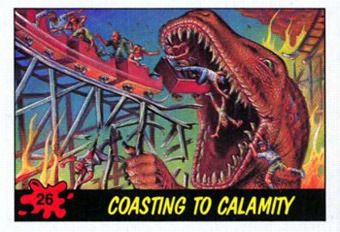 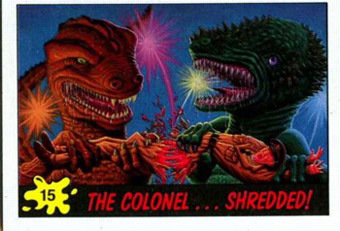 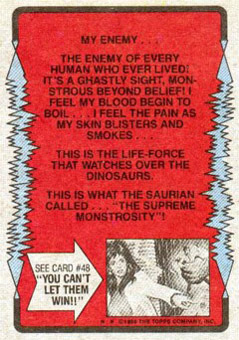 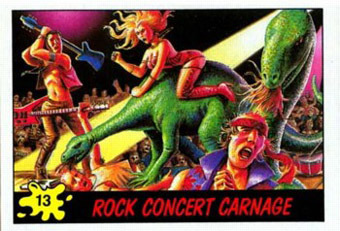 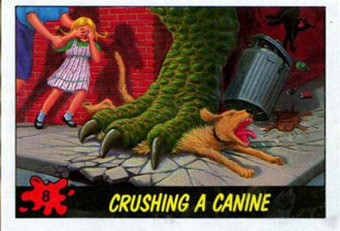 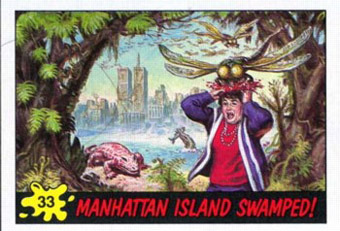 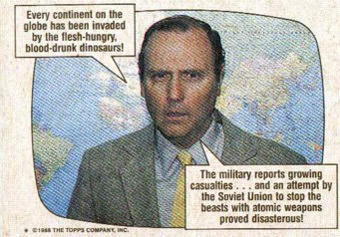 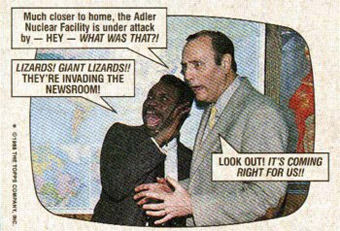 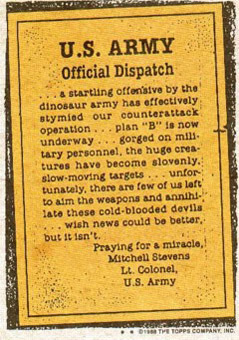 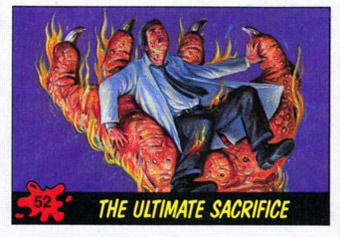 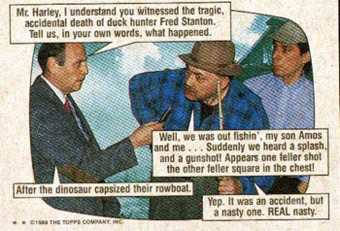 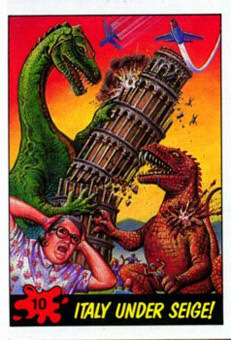 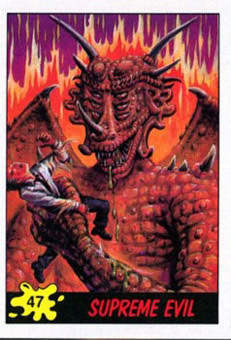 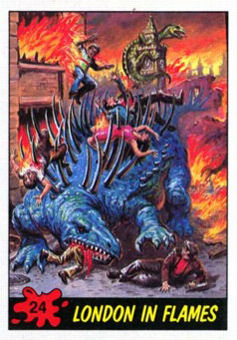 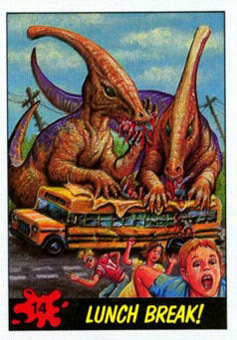 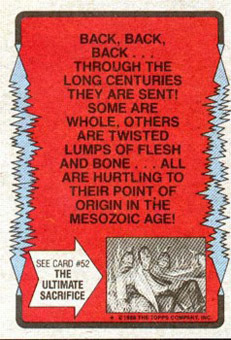 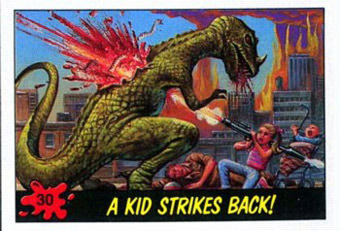 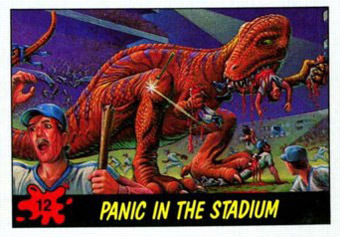 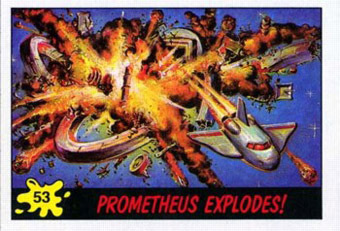 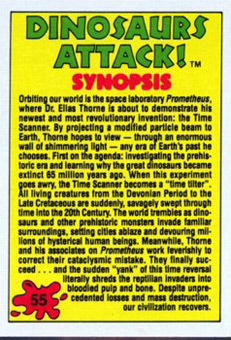 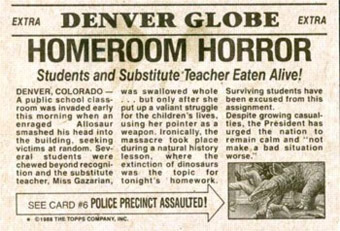 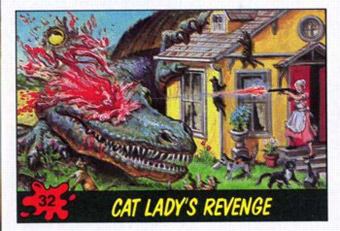 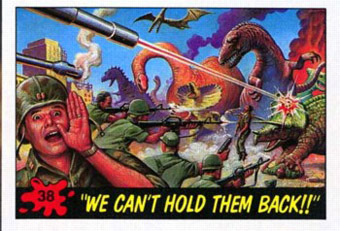 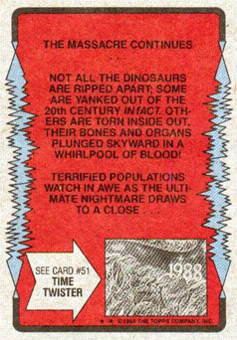 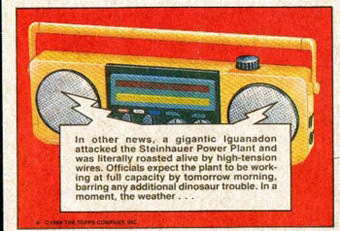 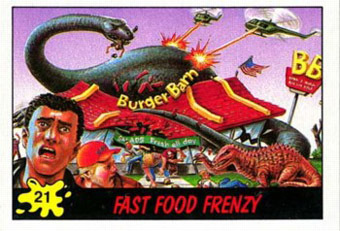 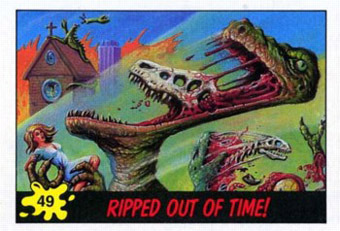 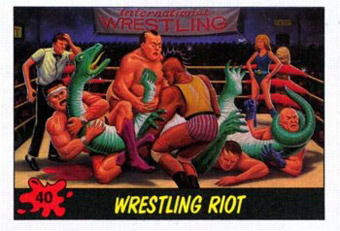 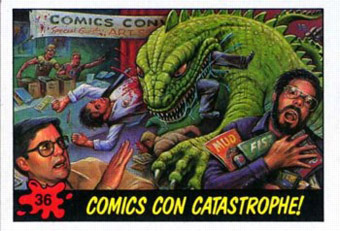 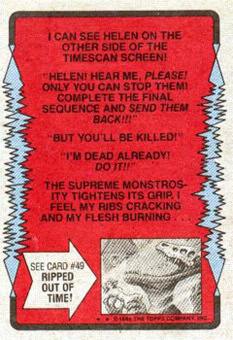 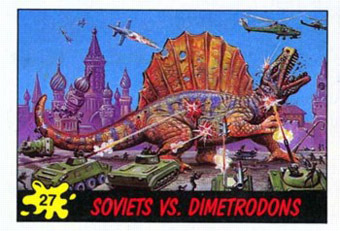 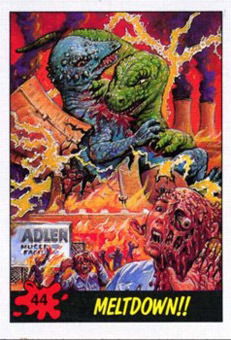 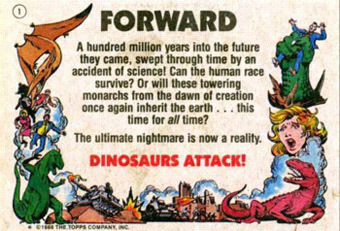 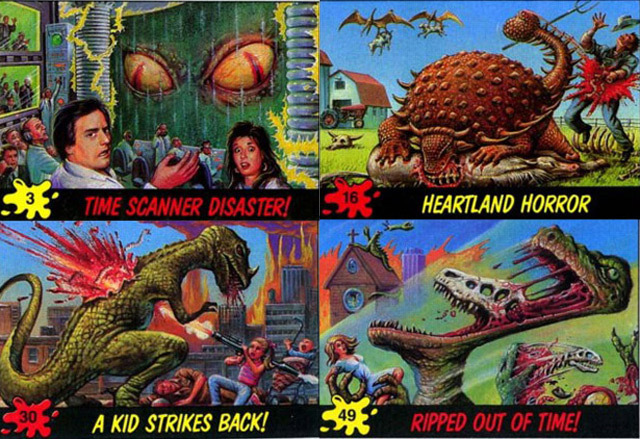 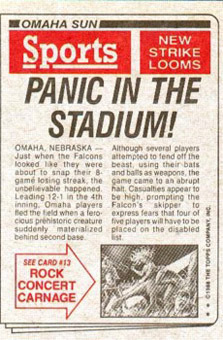 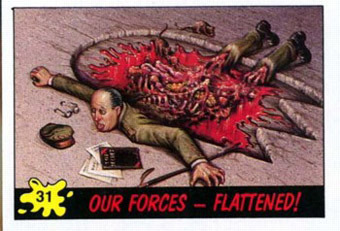 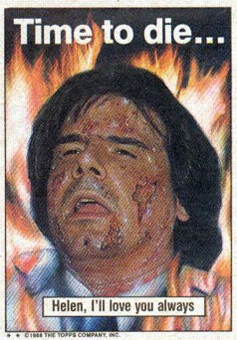 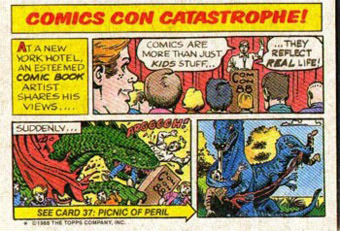 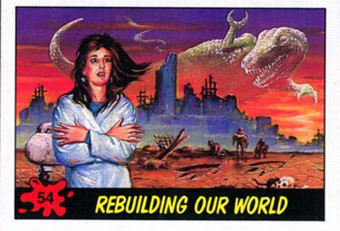 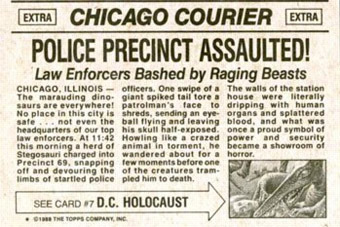 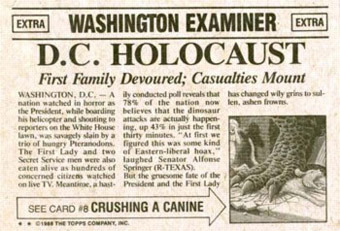 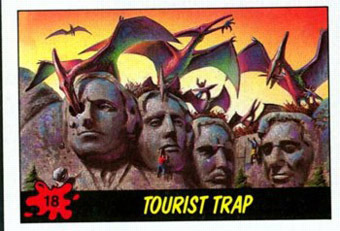 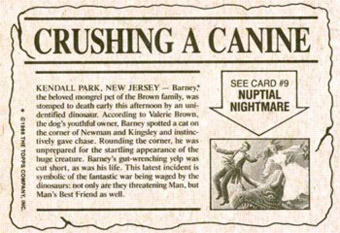 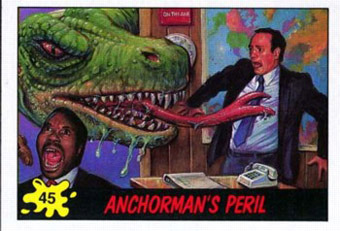 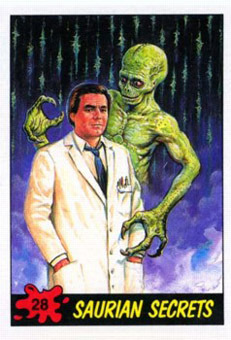 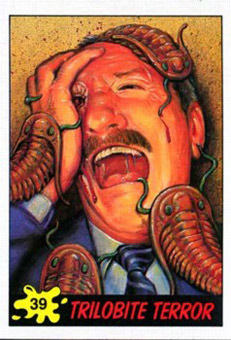 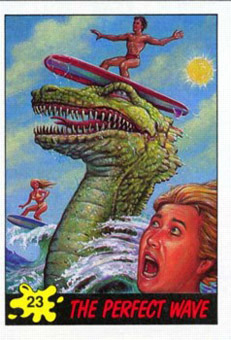 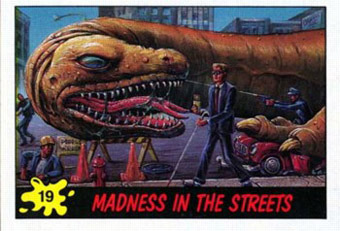 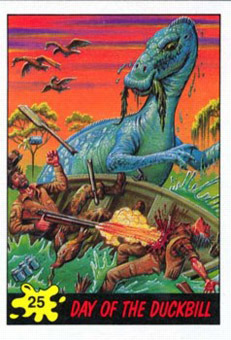 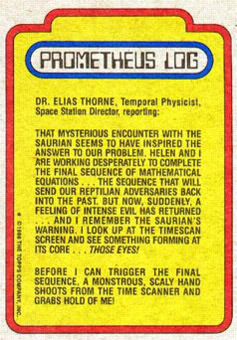 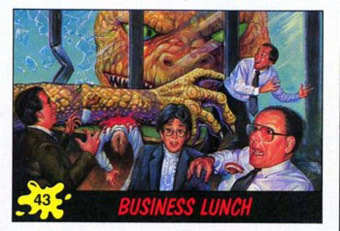 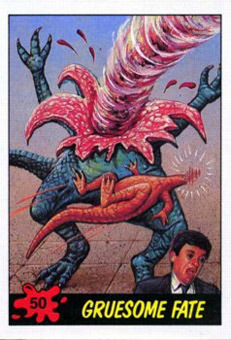 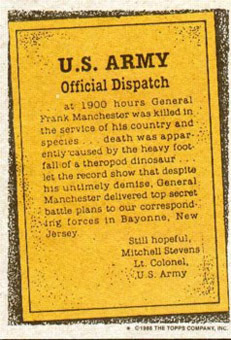 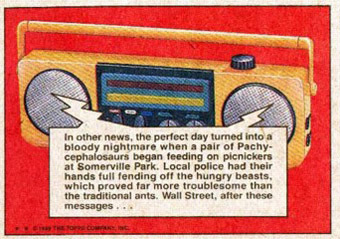 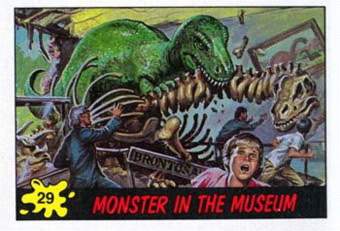 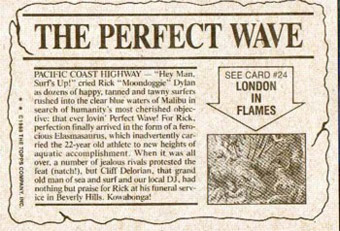 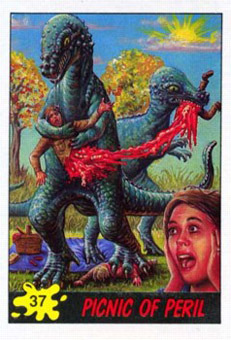 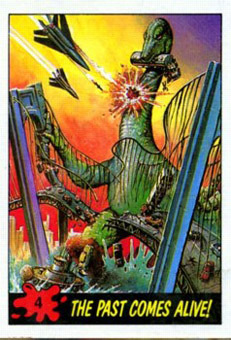 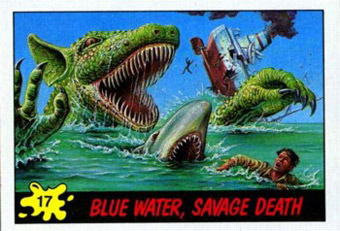 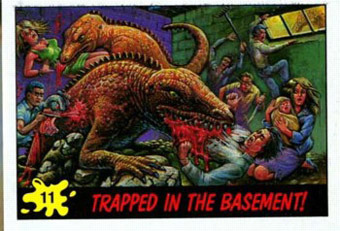 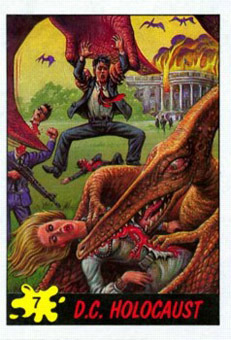 Dinosaur Attack was an offensive and awesome trading series produced by Topps in 1988. 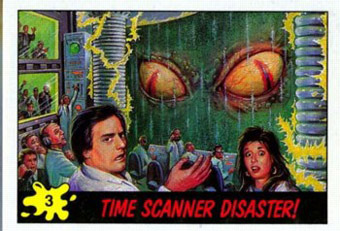 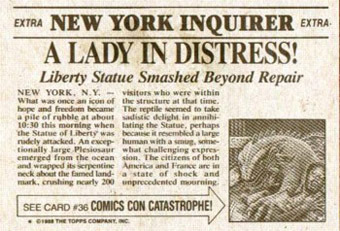 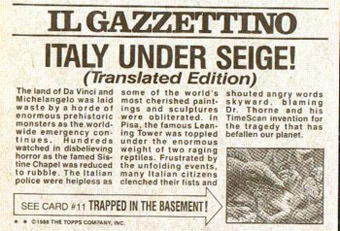 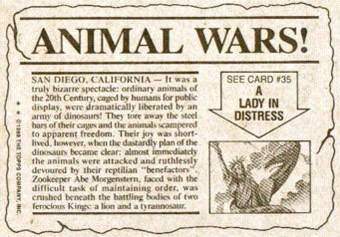 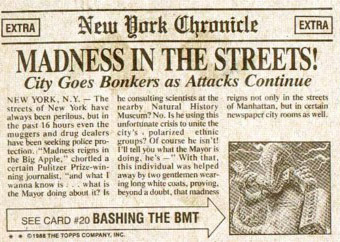 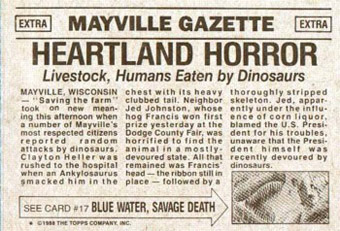 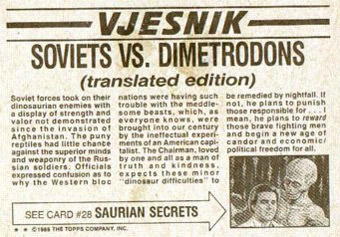 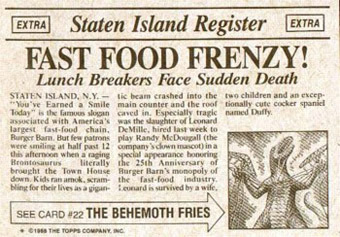 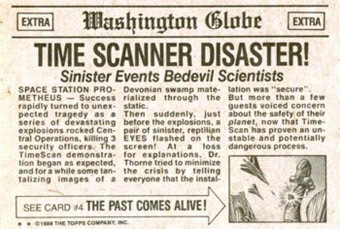 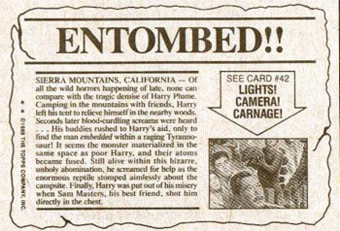 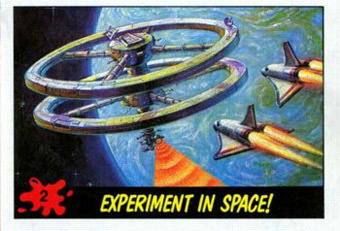 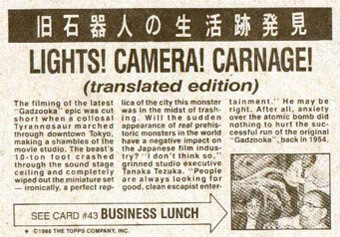 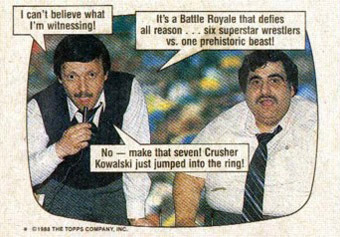 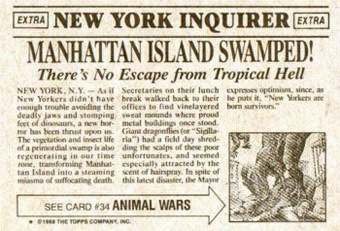 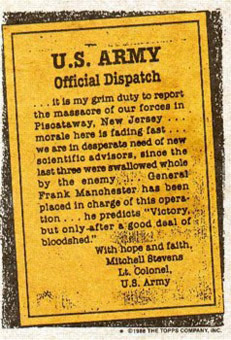 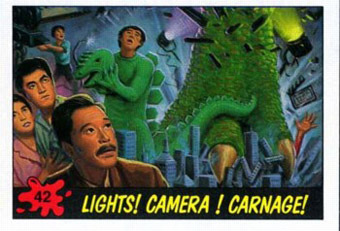 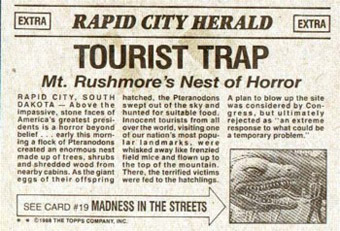 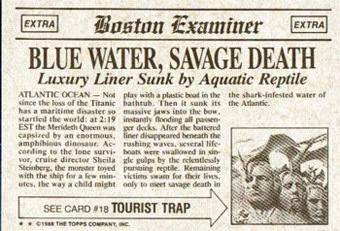 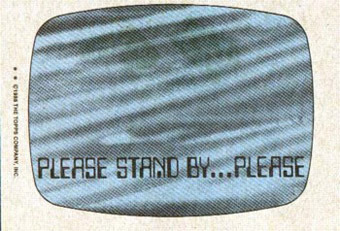 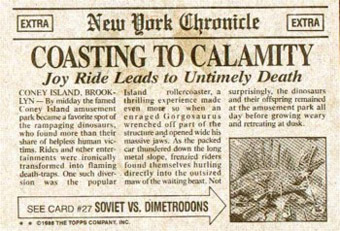 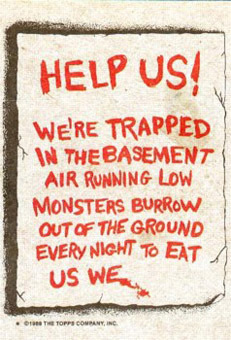 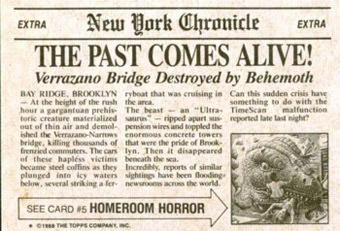 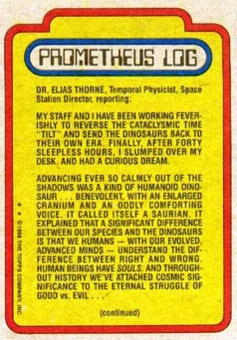 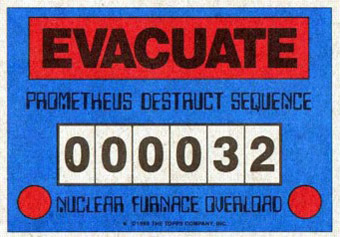 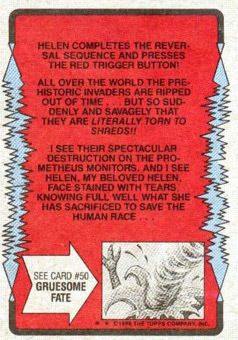 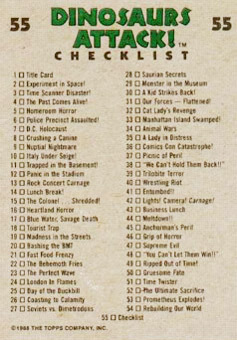 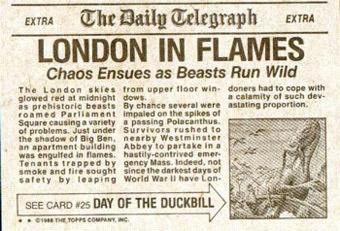 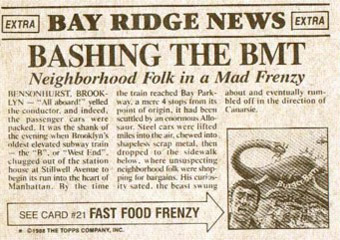 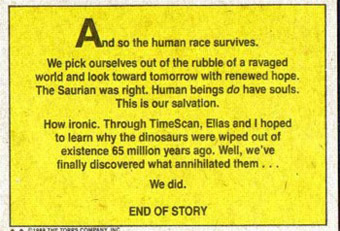 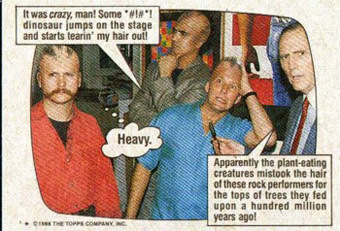 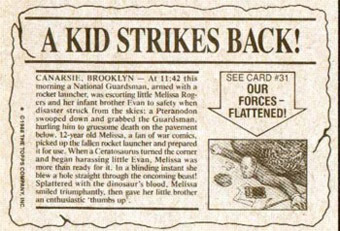 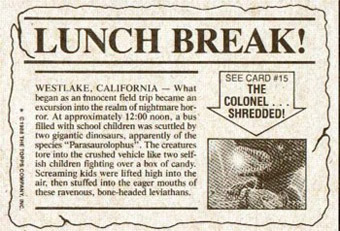 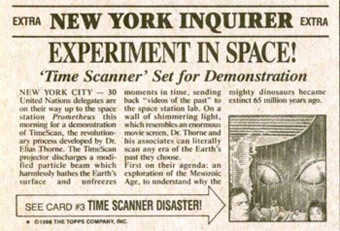 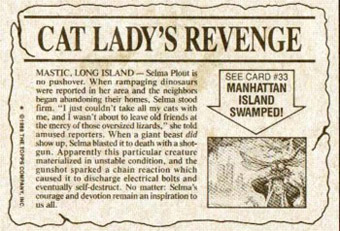 They told a great story of a space station, evil aliens, time travel and dinosaurs— who brutally eviscerate innocent people.